Joining Twitter is pretty simple but there are a few tips worth knowing to get your account set up just right. Open Twitter from your computer, phone, or tablet. Type your phone number or email address in the first text box provided on that page. Type the password you want to use for Twitter in the second box. Click or tap the Get started button. Type your full name in the new text box that shows up below your password. 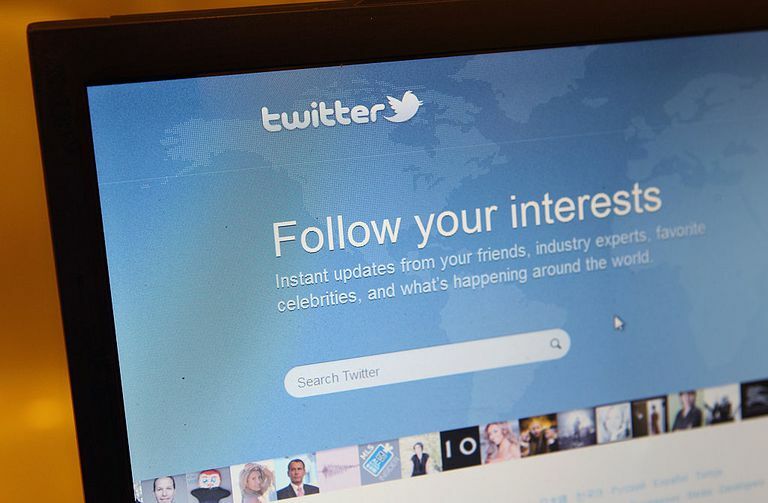 You can also tailor Twitter to your interests (based on your recent website visits). If you don't want this, uncheck the box on the sign up page. Read this for more info on what this entails. Use the "Advanced options" link below the form if you want to disable other people from finding you on Twitter by searching for your personal information. You can selectively turn off the ability for people to find your Twitter account using your email or phone number. Click or tap the Sign Up button when finished. If you didn't do it already, you'll now be asked to enter your phone number, but you can use the Skip link at the bottom of that page if you want to avoid connecting your phone number to your Twitter account. You can always do this later. Choose a username on the next page by typing one in the text box or clicking a suggested one based off your name and email address. You can always change it later if you want, or you can skip this step with the Skip link and fill in your username later. At this point, you can go to Twitter's homepage to get to your account or you can continue through with setup. Hit the Let's go! button to tell Twitter your interests, which will help recommend Twitter users you should follow. Choose the Continue button to have the option to import your Gmail or Outlook contacts, which Twitter can use to recommend followers that you know. If you don't want to do that, click the ​No thanks link. Select the users you want to follow from Twitter's recommendations, or use the button on the top of the page to quickly follow all of them. You can also uncheck the ones you don't want to follow (you can uncheck all of them if you wish). Use the blue button at the top right of that page to go on to the next step. You might be given the option to turn on notifications so you're alerted when new messages come into your account. You can enable this or select Not now to decide later. You're all done! The next page is your timeline, where you can start using Twitter. Before you start following and tweeting, it's a good idea to finish setting up your profile so that it looks compelling enough for people to follow you back. You can add a profile photo, header photo, short bio, location, website, and your birthday. You can also customize the theme color of your profile. Unlike other social media websites, like Facebook, all Twitter accounts are made public by default. That means that anyone on the internet can see your profile details (location, etc.) and tweets. If you want to make your Twitter profile private so that only users you approve can see your information, you can enable the "Protect your Tweets" option in the "Privacy and safety" section of the settings. Follow this walkthrough if you need help. Two-factor authentication is a verification method that involves an extra step after trying to log in to your account. It's helpful in preventing hackers from accessing your account. Usually, a code is texted to your phone or email address that you use to verify your identity, along with your password, as you log in. Open your account settings by clicking on your profile picture and choosing the Settings and privacy link. Scroll down to the Security section and click the Set up login verification button next to "Verify login requests." You need to add a phone number to your account for this to work. Click Start in the new window that opens, which will put you through the two-factor authentication wizard. Enter your Twitter password and then select Verify. Hit the Send code button to give Twitter permission to text you a verification code. Enter the code in the next window, and hit Submit. That's it! Now, each time you login, Twitter will send you a code that you have to use with your password before you can get into your account. It's a good idea to save your Twitter backup code in case you no longer have access to your phone to receive the verification code. To do this, click the Get backup code button on the "Congrats, you're enrolled!" window.